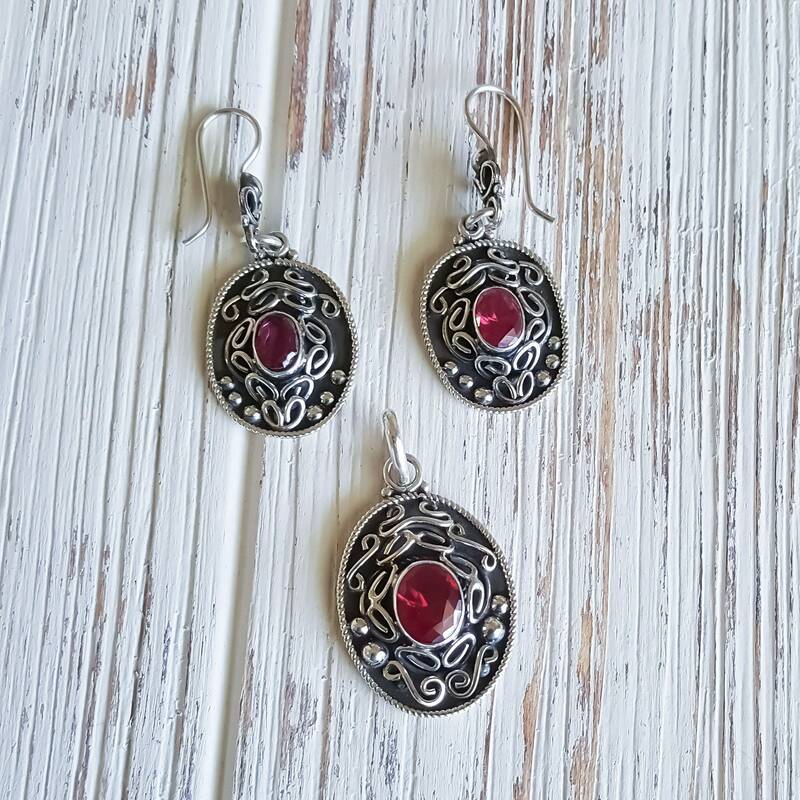 Who needs a pair of ruby slippers when you can adorn yourself with jewelry that's just as magical and symbolic? 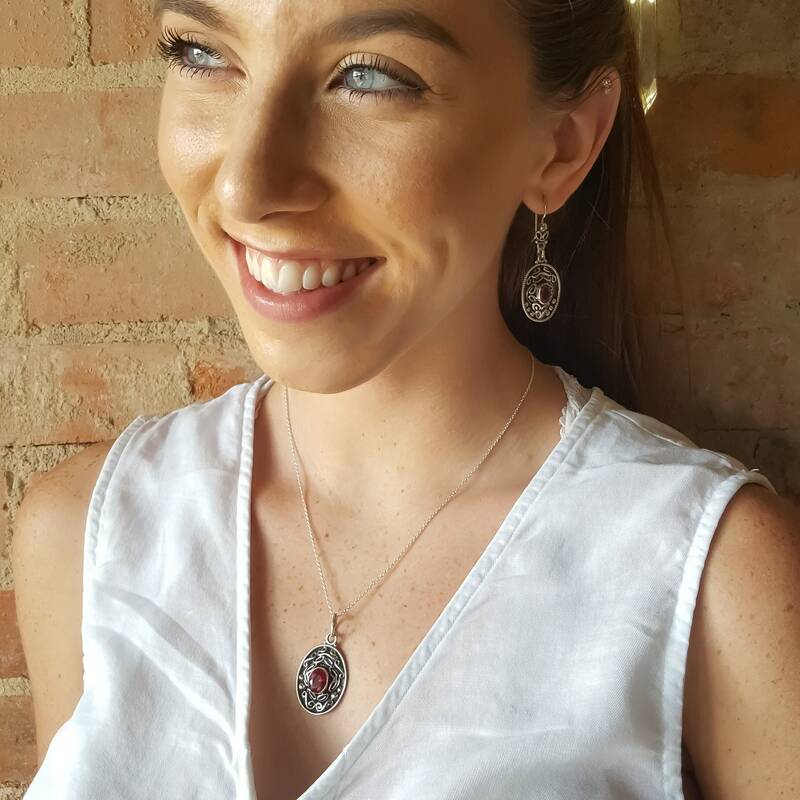 Enhanced with beautiful bordering filigree work that immediately captivates the eye and embellished with faceted cubic zirconia, the sterling silver earrings and oval necklace pendant featured in this handmade set are merely marvelous. Each of our pieces is handcrafted individually to add uniqueness and preserve quality and craftsmanship. We guarantee full satisfaction or full refund. Please check our return policies.